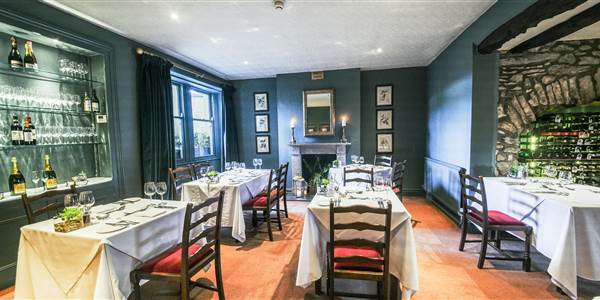 The Traddock is a hotel located near Ingleton, a village and civil parish in the Yorkshire Dales in North Yorkshire, England. It is famous for walking, hiking and caving. Favourite walks are the Ingleton Waterfalls Trail and the climb up Ingleborough which is one of the famous Three Peaks. Directly from the village visitors can ascend the 2,373 feet (723 m) of Ingleborough and take in a view of the Yorkshire Dales from its summit. The more experienced try the Three Peaks Challenge, with Ingleborough, Whernside and Pen-y-ghent offering 25 miles (40 km) of outstanding natural beauty. The River Doe and the River Twiss join together in the town to form the source of the River Greta, which flows into nearby Lancashire. 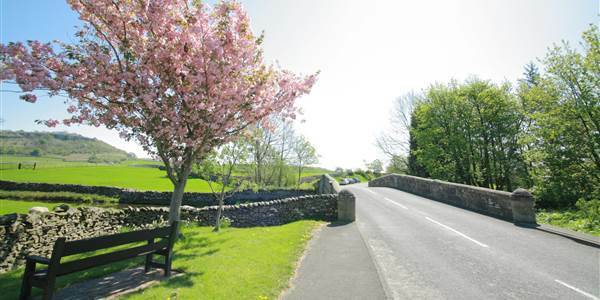 Throughout history, the Romans, Celts, Vikings and Normans have left their mark on Ingleton and its surrounding area. Set against a backdrop of wooded valleys and caves, the village nestles at the foot of Ingleborough - probably the most easily recognised of the Three Peaks. Full of character and fascinating history, Ingleton is a thriving tourist attraction. Nearby are the White Scar Caves and Ingleborough Cave, show-caves popular with tourists and Gaping Gill, whose 365 ft (111 m) cavern can be visited by tourists on spring and autumn bank holidays when a winch is set up. For more experienced cavers, the area has a labyrinth of challenging potholes and caves. This is due to the 300 million year old limestone rock of the area, which has gradually been dissolved by groundwater. In 1933 an open-air swimming pool was dug out and built by local volunteers. The European (Objective 5b) Community Fund, the National Lottery and private donations have been used recently to improve and modernize the pool.